Start needlepointing right away. It's so easy. 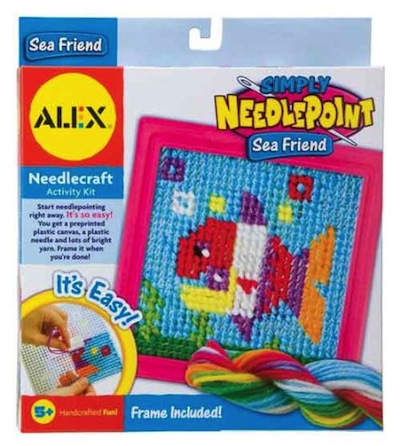 You get a preprinted plastic canvas, a plastic frame, plastic needle and lots of bright yarn. Frame it when you're done!